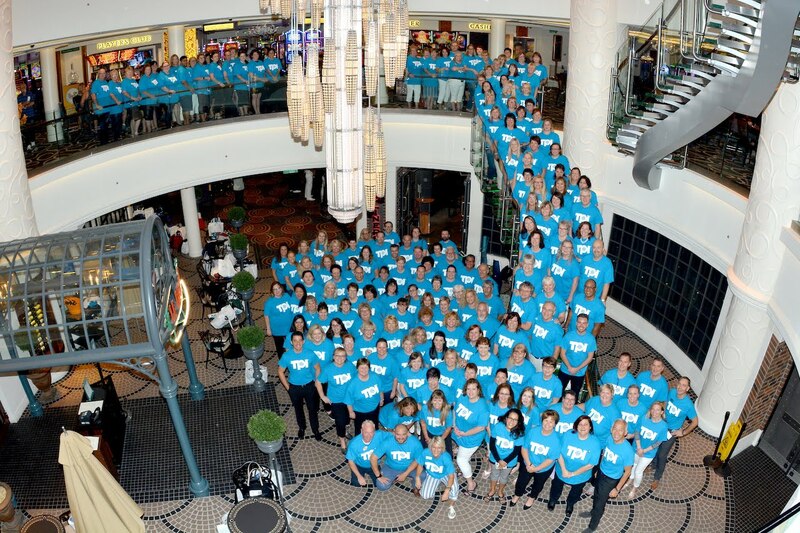 Travel Professionals International (TPI) – Canada’s leading home-based travel company and Virtuoso Member, welcomed over 240 of their Advisors, Guests and Supplier Partners to their conference last week on board the Norwegian Getaway. “This year’s conference theme – IGNITE CHANGE – was to highlight the many positive changes that TPI has made this past year, as well as to inspire our network to Ignite Change and evolve their business, and set new goals for themselves,” said Zeina Gedeon, CEO. Gedeon officially kicked off the conference with an outline of all the enhancements that TPI is investing, organizing and innovating to Ignite Change in the company. Gedeon spoke about the introduction of self-invoicing, bilingual TPI website, TPI e-commerce store, along with many more enhanced services offered to assist our advisors with their business needs, which will ensure that TPI remains the market leader in the Home Based space in Canada. Keynote Speaker, Sandra McLemore challenged the attendees to look at where they wanted their business to be with her “Number in the Circle” keynote, as well as sessions revolving around Social Media, Finding Luxury Clients offline, Finding your Brilliance just to name a few. Camille Olivere, Senior Vice President, Sales for Norwegian Cruise Line, made a special announcement onboard, congratulating TPI as being named NCL’s Canadian Host Agency of the Year Partner. #TPIGIVESBACK. TPI advisors, partners and staff collected donations of school supplies and reading materials were donated to 9 public schools in Tortola, BVI. TPI announced their new corporate charity, Jack.org; Canada’s only charity training and empowering young leaders to revolutionize mental health in every province and territory. TPI raised almost $14,000 last week and many initiatives will be taking place over the next year to support this grassroots initiative. Announcement for all upcoming TPI Reward Trips as well as TPI’s exclusive STEP Fams to Australia and Cambodia. In 2019, TPI will be celebrating their 25th year in business, Morris Chia Executive Chairman stated “In 1994, our concept and vision for this company came to fruition and TPI was founded. I am thankful every moment for what we have accomplished together as a team.” TPI is looking ahead to a year of record sales growth, as well as an increased focus on marketing and training, along with continuing its close relationships with travel partners.